Eastland Pest Control is here to take care of any rodent problems that you may have. 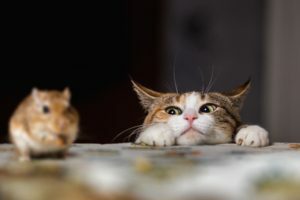 We understand that mice and rats are just as annoying, if not more so, than insects. Leaving droppings throughout your house, getting into cupboards and food, and practically ruining anything they come into contact with; not to mention they are disgusting to think about living with. Although you may not always see them, you know they are there. Don’t you think it’s time to do something about it? Not only do rodents leave devastating destruction in your home, they carry many diseases and can quickly overrun your entire house. It is extremely important that if you see any signs of rodent activity, inducing droppings, chewed corners or boxes, or scratching noises in your walls, that you call Eastland Pest Control right away. The sooner we can get to you, the sooner you can be living rodent free. Don’t forget, we offer commercial pest control, too!